The Elkay CR33214 is from the Celebrity collection and is constructed out of Industrial strength 304 Stainless Steel. 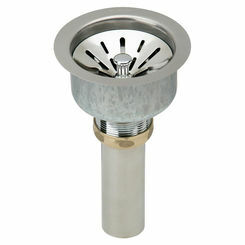 This 20 Gauge nickel bearing sink incorporates strength and functionality to insure a lifetime of daily use. 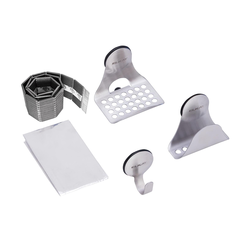 The Elkay CR33214 is designed as a Drop-In/Top mounted sink and comes pre-drilled with 4 faucet holes and features the U-Channel Type mounting system for quick and convenient installation. This Double bowl Celebrity sink features a smooth Lustrous Highlighted Satin finish. 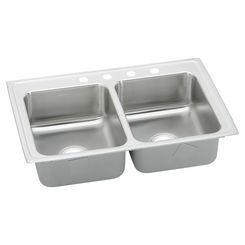 This sink is easy to clean and helps to provide a warm, inviting feel to your Kitchen. 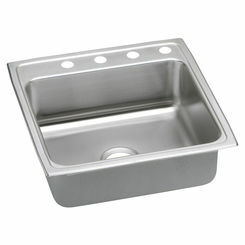 This high quality 33 x 21 inch Rectangle sink measures 33 inches left to right and 21-1/4 inches front to back. 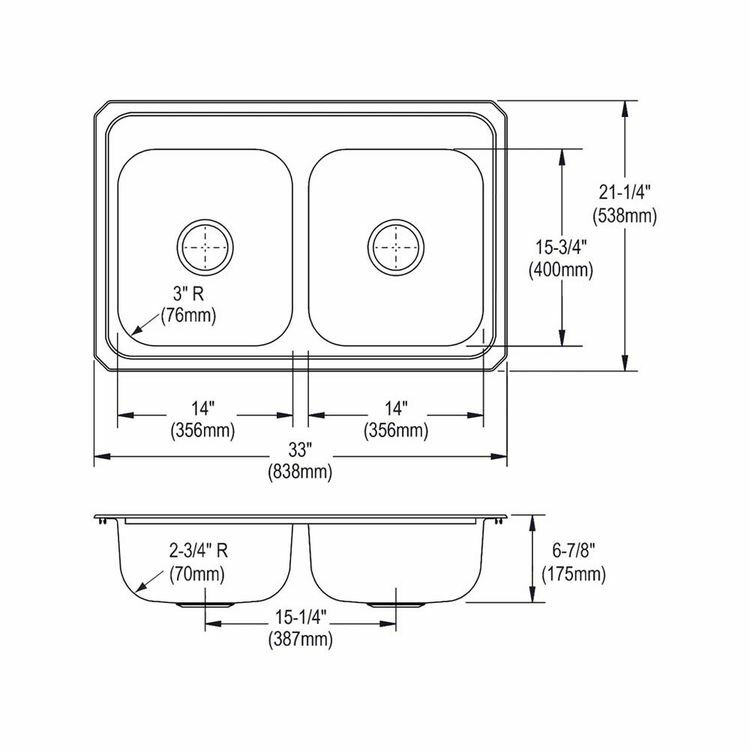 The 3-1/2 inches drain is located at the center of the sink basin. 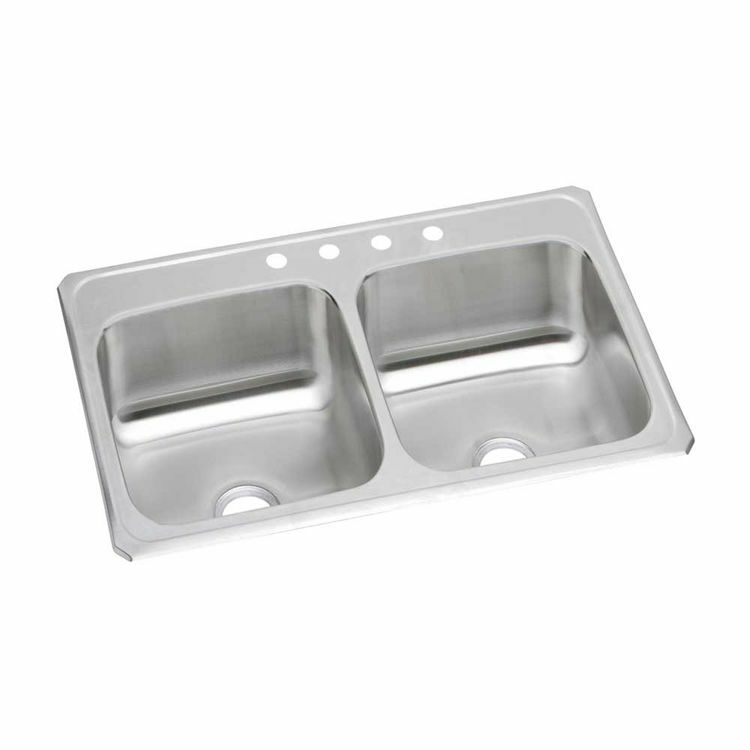 The depth of the Elkay CR33214 Celebrity Kitchen sink is 6-7/8 inches deep, and like all other high quality sinks proudly made by Elkay comes with a Lifetime Warranty against any manufacturer defects. Shipping Dimensions 23.4" x 9.1" x 39.1"
Shipping Dimensional Weight 47.12 lbs.